Does your mouth drop open when you see your favourite actress wear that perfect lehenga? Fret not! We, at LBB, have made a list of five places that will stitch that lehenga, anarkalis and kurta to make your wish come true. If you want a plethora of designs to choose from, Vastrum is the place to go to. Specialised in stitching and catering to your needs, they will give you the perfect lehenga, starting at INR 900, that you will want to wear all the time. They will provide you with the material as well. What are you waiting for? 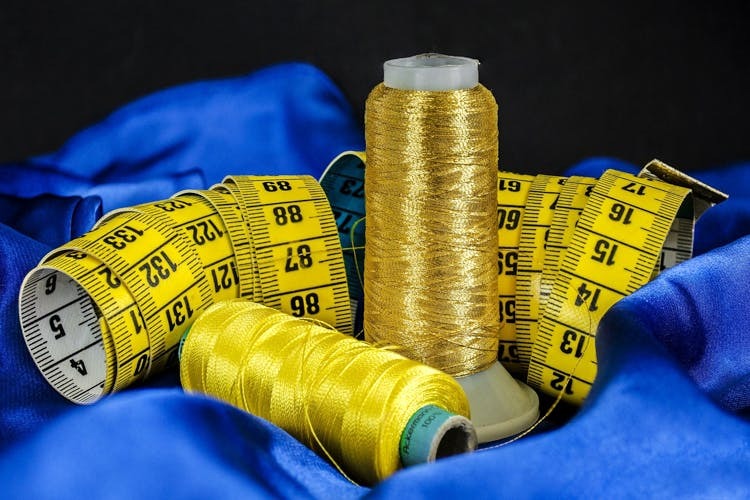 Samrat tailors will give you exactly what you desire for. They may not have a wide range of designs but sure do have experience so they will never go wrong. The basic lehenga designs start at INR 700. #LBBTip: Make sure to bargain for the best price. Most experienced in the list, Sartaj Tailors are the masters in stitching. For a chikan kurta, starting at INR 650, this is where you need to head to. Their designs are simple but elegant and will make you feel good! Flawless fitting and unique designs are what define Adaa Fashions. Their designer will make sure that you leave the place with a smile on your face. Also, they have super quick service and not to mention, super cheap prices, starting at INR 1,000. Head there right now! Little further than usual but this place is a one-stop solution to all your worries. Dnyaneshwari tailors are excellent in stitching, specially the bridal lehengas. Their kurti designs, starting at INR 700, are nothing less than beautiful.